Looking for the perfect gift for the little ones on your list? 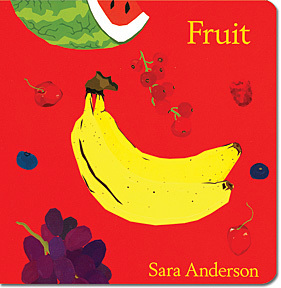 Board books by Seattle author Sara Anderson are just the thing. Fruit and its companion book, Vegetables, are very popular among the younger set – add to your favorite tots’ little library with A Day at the Market, a must for anyone who loves Seattle and the Pike Place Market. 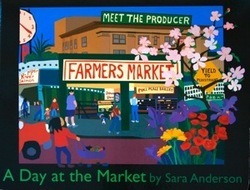 All ages will enjoy the bright colors and lovingly recreated market scenes in this book! 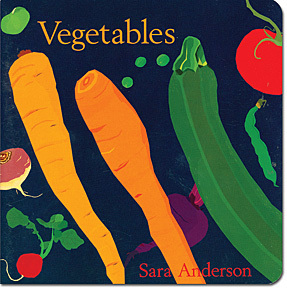 Sara Anderson will be at Fresh on Sunday, December 20th from 11 a.m to 1 p.m. to sign copies of her beautiful books. Make sure to join us!